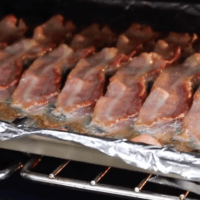 Cooking bacon in the oven is easier than you think. In fact, I find it’s the only way that I like to make it these days. I know the typical way to make this breakfast treat is by using a frying pan. Some might even say that they use the microwave. But truth be told, those options are oily and messy and no longer an option for me. If I had someone that would clean up my stove once I was done, I would be all for it. But – it’s just little ol’ me doing what I need to in front of my stove and it’s not fighting a grease stain. Not today, Satan! 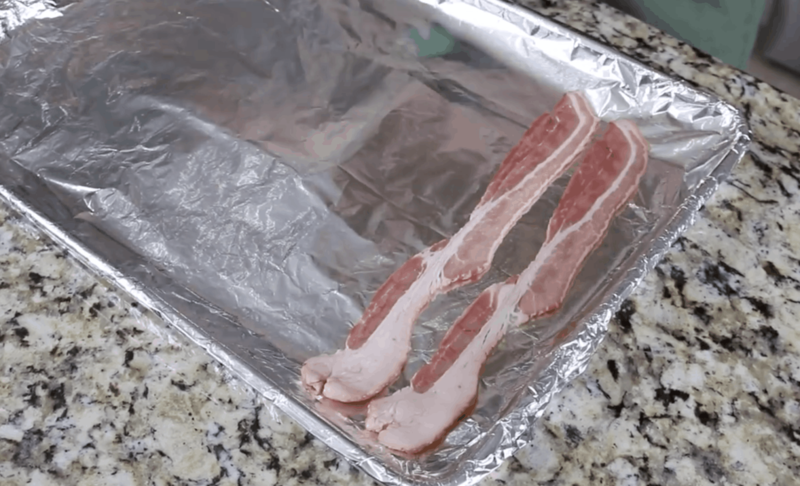 Cooking bacon in the oven is just so much easier. You can time everything to go off with your omelets or pancakes and free up a few burners, too. Plus, have I mentioned that your house won’t smell like a French dry dispenser? Allow me to break down exactly what you need to know to get started. First up, you will want to line your baking sheets with tin foil. Your bacon pieces are going to ooze out oil and you will want to capture the majority of it in a very clean way at the end of it all. With the tin foil, you can pull the edges up at the end of your cooking session and just toss everything in the garbage. Easy peasy. When you are lining the baking sheet, line around and under. Go all the way under you secure the entire base. That’s very important. All four edges, too. Put as many pieces as you can on one sheet. Don’t worry about them touching. You know that bacon shrinks when it cooks!! Don’t stress out. I throw pieces into every open space. Just be sure you stretch them out from top to bottom. Pro tip: My friends use a bacon rack. I don’t, but I recognize it is a great investment. You do not need to add any oil to this dish. There is so much oil naturally in this product, that it would be redundant. 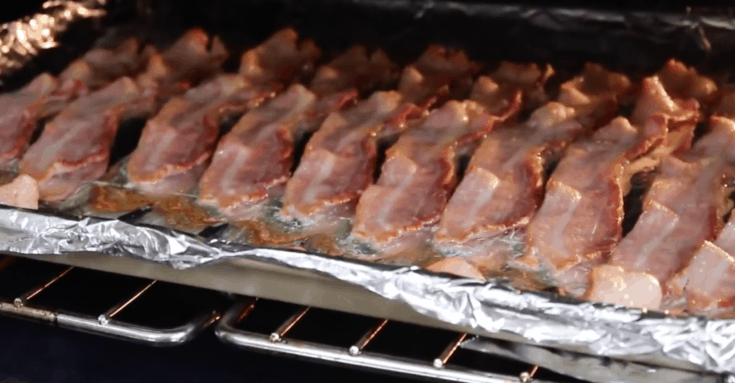 Cook your pieces of bacon in a 400-degree oven for 20 minutes. You don’t have to flip them or really worry about checking on them too often because it’s not a bad thing if the meat comes out crispy. I usually end up letting them go for another 2 or 3 minutes if I feel like they aren’t crispy ENOUGH. But 20 minutes is a good amount of time. I told you that cooking bacon in the oven is EASY!! 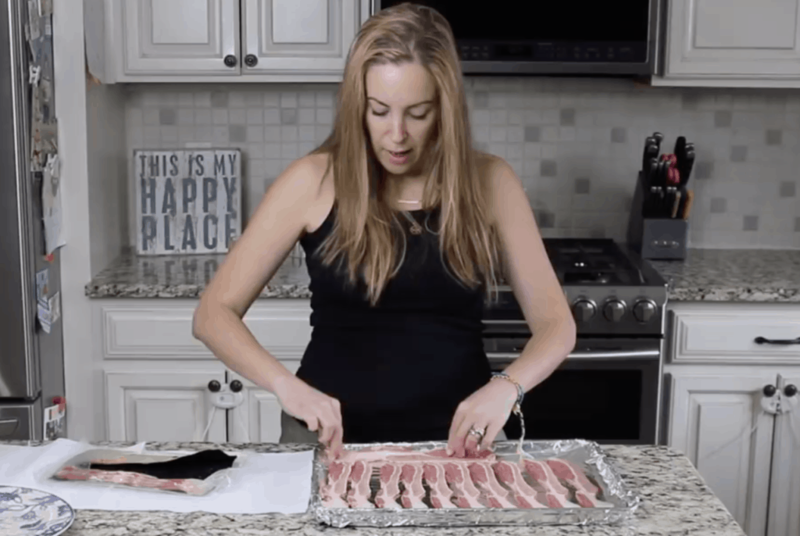 At this point, take your baking sheet out of your oven and transfer your bacon pieces to a plate that has several paper towels on top of it This will give your meat a chance to naturally drain some of the excess oil that exists. I do this when I use my frying pan as well. Last step and this one takes a second!! Take a few more towels and press down from the top. Give it a good shove and you are done. Your oven cooked bacon is ready to be consumed. Check out my video to see the entire process in action. I LOVE TO BAKE BACON IN THE OVEN. 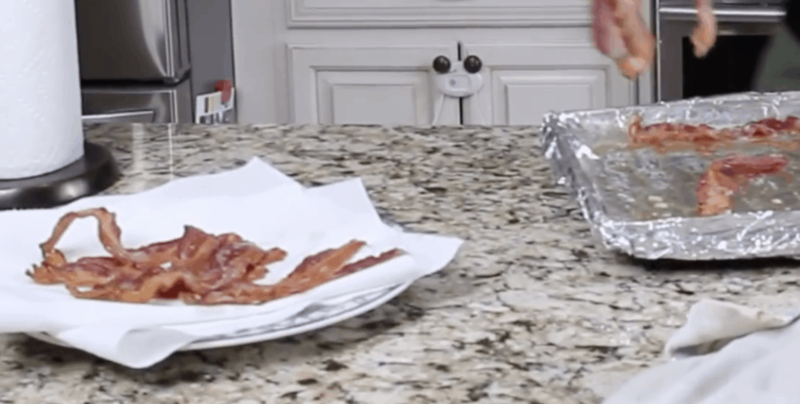 Line your baking sheets with tin foil. Put as many pieces as you can on one sheet. Don't worry about them touching. 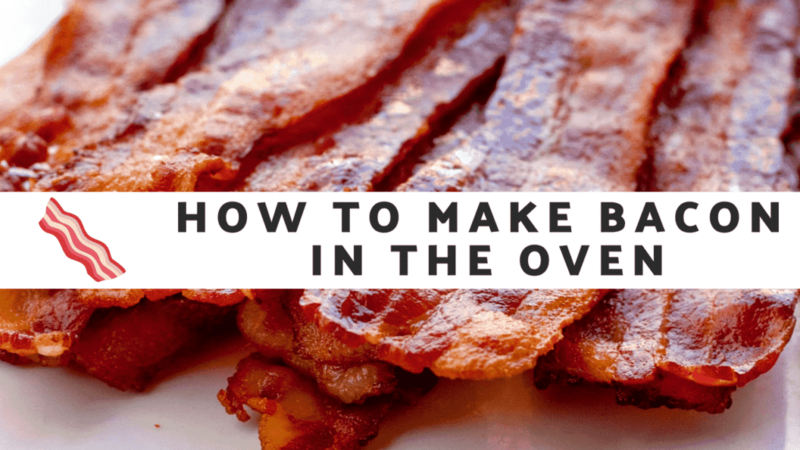 Take your baking sheet out of your oven and transfer your bacon pieces to a plate that has several paper towels on top of it This will give your meat a chance to naturally drain some of the excess oil that exists. I do this when I use my frying pan as well. Take a few more towels and press down from the top. This will remove excess oil. Enjoy!